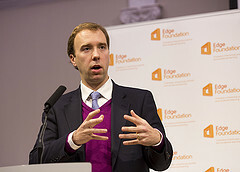 The future of service delivery and policy making must be focused around an Agile approach in order to be effective and cost-efficient, according to UK Cabinet Minister Matthew Hancock. ComputerWeekly reported on Hancock’s speech at the Institute for Government, in which the minister hailed the recent development of digital services (such as the Gov.uk website) as an illustration of how the Cabinet Office is “leading by example” to provide solutions using an iterative approach. “Small teams of developers building a product quickly and cheaply then iterating to improve it, not through long consultations and private advice but by seeing how it survives contact with reality,” said Hancock. Hancock said the next steps for the Cabinet Office will be to deliver a better government and society by acting as a “cohesive centre” for government to challenge and support the Cabinet.